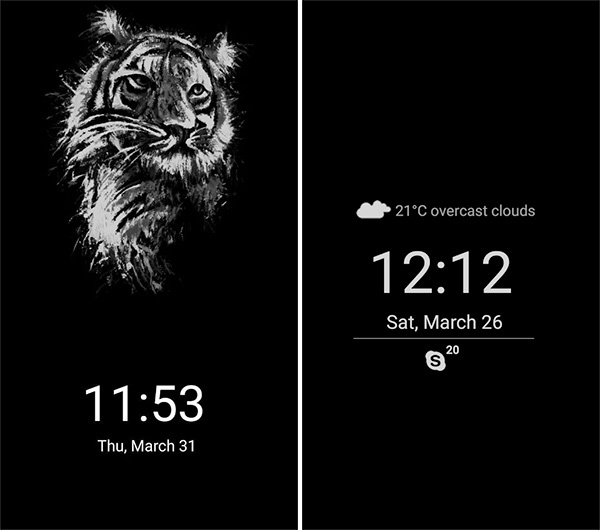 One of the neat little features that has shipped with devices like the Samsung Galaxy S7/S7 Edge and the LG G5 is the always-on display. Granted, the idea of “always-on” instantly conjures up mental imagery of the device home screen always being visible with things like apps and data being accessible, but that simply isn’t always the case. Rather, the term always-on refers to the fact that owners of those devices are able to instantly glance at certain information that is always displayed, such as the time, date, real-time weather information, and even important notifications such as messages or missed calls. 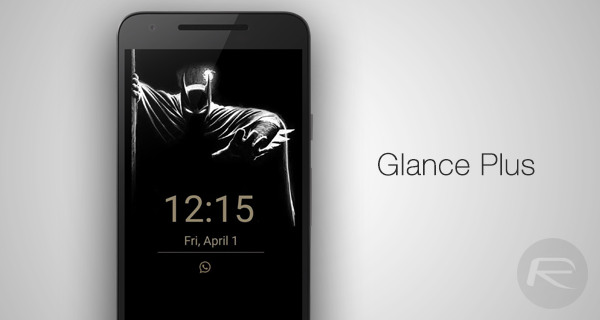 Step 1: Download and install the Glance Plus app from the Play Store from the link given at the bottom. This is just like any other app and can be installed through the usual measures. Step 2: Once installed, launch the app on the installed device. Grant it the necessary privileges to be able to perform its functionality. These permissions include things like being able to access location data, weather information and Internet access. Step 3: Once the app is launched, you will notice a toggle in the top-right corner. 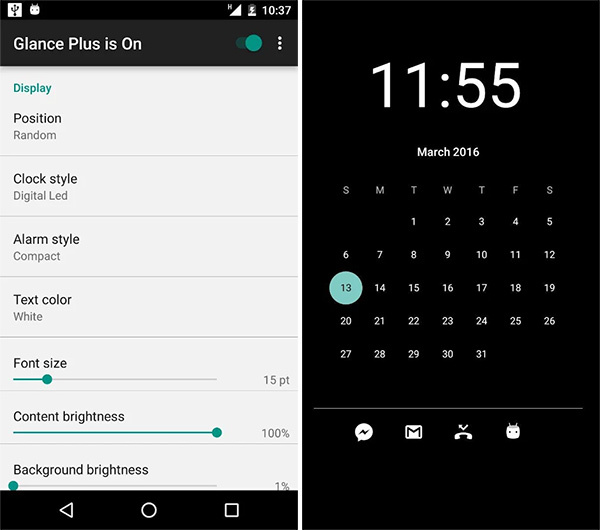 Switch this toggle to the On position to enable Glance Plus on the device. One of the great things about Glance Plus is that the developer has also introduced ways for users to actually preserve battery life, such as detecting when a device has been removed from a pocket to enable the display, and to actually disable the whole thing when battery life is low. The app can be downloaded from the Play Store link below, and you will also find a list of FAQ’s there as well, should you run into any issues. What’s the sound? That’s your battery draining down to 0… another stupid gimmick from Samsung. Apparently you haven’t read any reviews of the GS7s or the LG G5. The feature has been covered in almost all of them and the effect is minimal. To the GS7 variants specifically, almost all reviews praise the battery lives of these phones. How this affects lesser phones is a different story and remains to be seen. I’d really like to be snarky in my reply but there is clearly no need. Your comment speaks volumes. You clearly have absolutely no understanding of the technology or how batteries work in general.